Hoping to score a couple last-minute tickets to Hamilton? Well, you’re probably out of luck since the show sells out in minutes — but if there were tickets available, TodayTix could help you get your hands on them. TodayTix is an app for finding last-minute theater tickets — anything up to a week out. Currently serving seven cities in the United States and the United Kingdom, they’re planning to expand to an additional 10 or 15 cities over the next year. The app launched in New York in 2013, when virtually 0% of theater tickets were sold on mobile. Using the TUNE Marketing Console has helped them achieve massive growth; TodayTix now sells around 4% of all theater tickets in New York City. 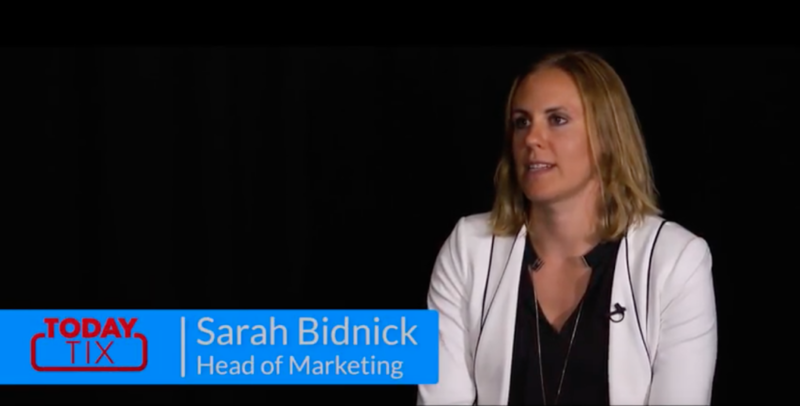 We spoke to Sarah Bidnick, Head of Marketing for TodayTix, about her experiences leading a fast-growing mobile marketing department and the ways the TUNE Marketing Console has helped her team succeed. What are your key responsibilities at TodayTix? Sarah: The founders look to me to figure out what should our focus be, where should our money be going, our resources be going. So at the end of the day, it’s ticket sales, and then really backing out every single marketing program I want to do to that end, and measuring metrics of success towards that. What are the main challenges you currently face on an ongoing basis? Every new city we launch in, I need marketers there that understand the local market, the local theater scene, and then also can kind of “walk the walk” when it comes to the more technical user acquisition aspects of mobile marketing. And the other big challenge, I think, is access to summary data. I think that a lot of people on my team do what they do with data, and can dive in platforms like TUNE that we’ve used for a long time to monitor both what’s going on in our app and what people are tapping on, what they’re engaging with, as well as attribute all of our marketing spend on user acquisition channels. What problem or business need did you have that led you to TUNE? I have personally been a client of TUNE for five years in my previous role, and I brought TUNE to my current company. When I was working for an agency before my current job, we took on our first big mobile client and just started doing research about what the best attribution companies were at the time. And TUNE was kind of one of the first on the scene, and seemed like the best in giving us the data that we needed to third-party police all of our buys — make sure that the data we were getting was reliable, and there wasn’t fraudulent stuff going on with our campaigns, and then allowing us to roll that data up into one view. How do you use the TUNE Marketing Console? It’s really a data capture system for us, first and foremost. So the tracking links, using it to measure attribution — both within the platform, but then also in the data that we’re capturing about what’s going on in our app — and feeding that into our data hub. TUNE fits really nicely into that because we’re able to track on an IDFA [Identifier for Advertisers] or user basis what everyone’s doing and then how to segment them. We use various platforms to access that data, but really TUNE is at the core of our data capture process. 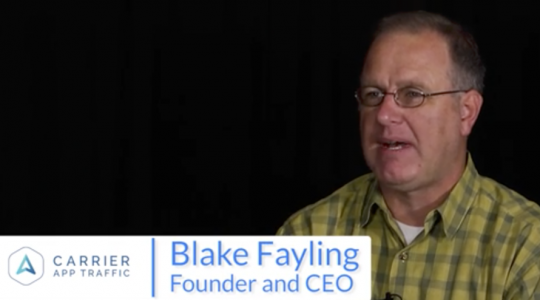 How does TUNE integrate into your day-to-day work and responsibilities? TUNE integrates into my head of retention’s and my director of user acquisition’s day-to-days. They’re in the console all the time: monitoring success of different campaigns that we have, grabbing data that we need to do segmentations. … [S]everal of my team members live and die by the TUNE data. What goals has TUNE helped you achieve? 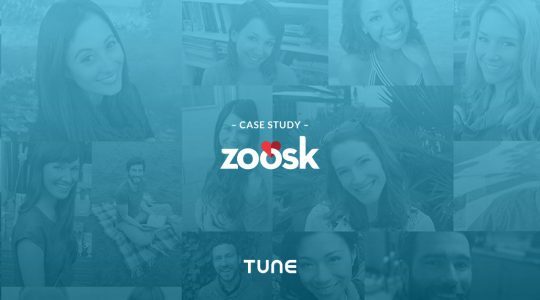 I think that using TUNE we’ve been able to really better segment our customers based on what they’re engaging within the app. So we’re tracking what someone views, what they ultimately purchase in the app, and we’re able to build segments to increase conversions on our campaigns. Looking for more examples of ways clients use the TUNE Marketing Console to succeed? 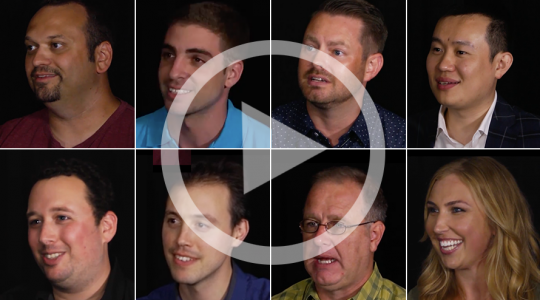 Read about how Schoold amplified organic app traffic by 50% or head over to our video testimonial playlist.